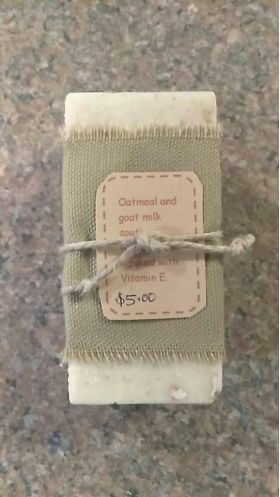 Honeyed Oatmeal Goatmilk Soap: Please note: this option includes $7.25 for shipping. 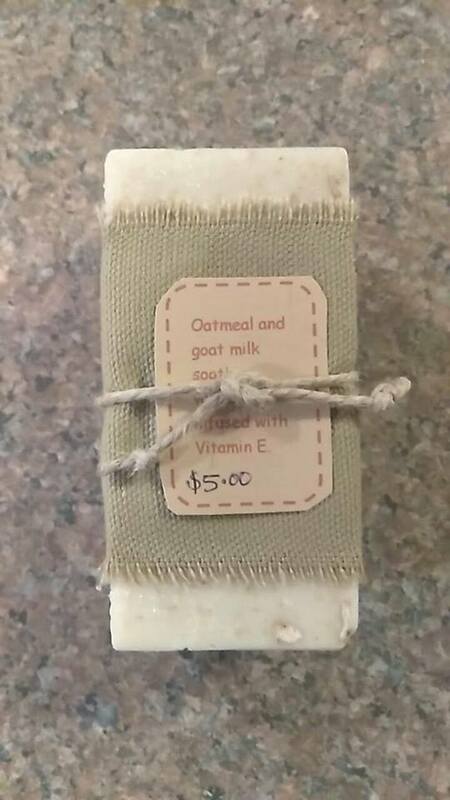 If you would like additional soaps (but only pay shipping once), add one of these to the cart, then click the "Soap - no shipping" option on the left of your screen under "We also recommend..." Most soaps contain harsh chemicals that are harmful to our skin and actually exacerbate skin problems*! Our high-quality natural ingredients protect your skin, nourish it, and even aid skin healing and slow signs of skin aging. It’s soft and silky on your skin. It contains lovely ingredients such as goat’s milk, oatmeal, cocoa butter, honey, apricot oil, vitamin E, vanilla, and cedarwood oil. Read the list below to discover some of the research that has been don on these ingredients! Our soap has no artificial fragrance and a sweet mild scent. It’s low-sudsing and high-moisturizing…and very, very gentle on your skin. Available in 4+ oz bars.